Want to know if you are charging your customers too much…or too little? The goal is obviously to remain competitive without leaving any money on the table. Well, for a 2nd year in a row, that’s exactly what we want to help you find out. Introducing LASSO’s 2019 position bill rate survey results. 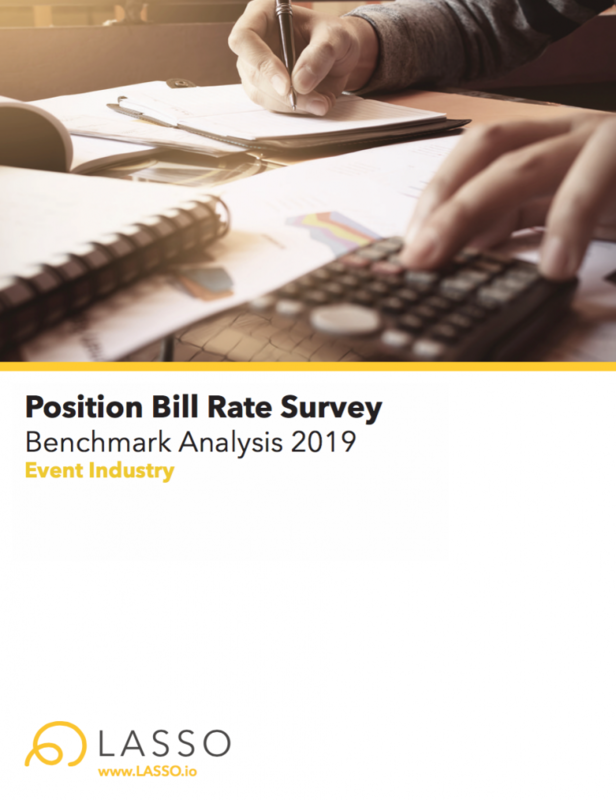 In this year’s survey, we polled senior event executives with the goal of better understanding what the average bill rates are by position and how those bill rates have changed since last year. With this report, we hope that you are able to gain insight into how the market operates so that you can use this data to benchmark within your own processes. The data found in this report represents the national average bill rates for 20 common live event crew positions. The hourly rates listed in the analysis are based on a 10 hour day. Please contact LASSO for a brief consultation to review these results.